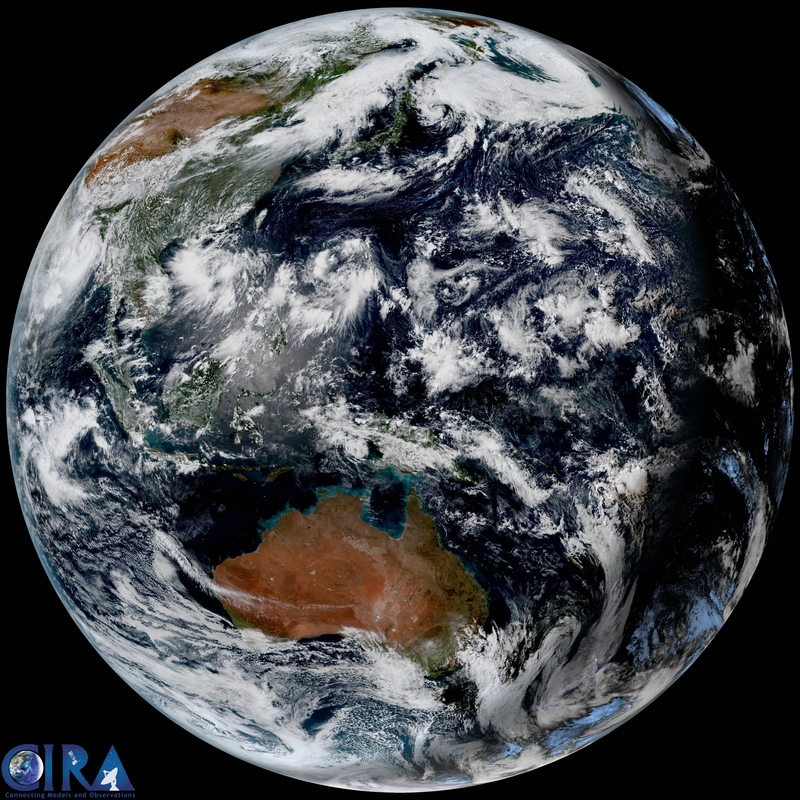 This page highlights some of the features of the Weather Satellite application relating to the earth's weather and viewing. What does the application show? 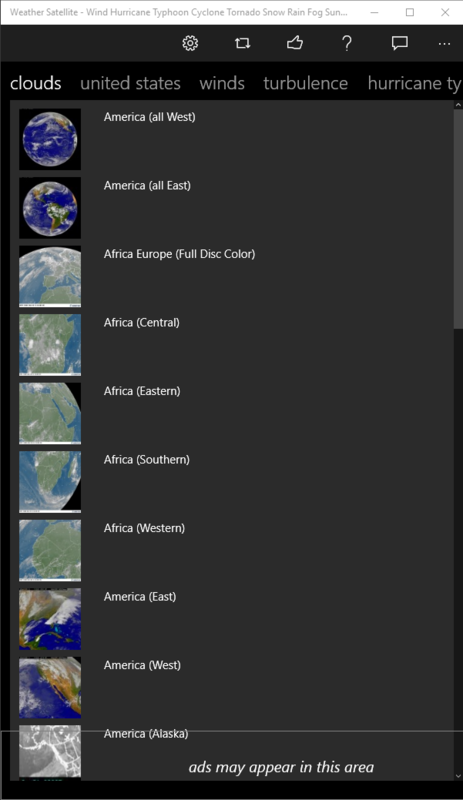 The application shows the wind, rain, and other views of the earth from various satellites and regions such as US, europe, asia, artic, antartica, and other various countries. Here are just a few examples. Composite Radar, temperature, forecast, warnings, water, and general weather across the states. 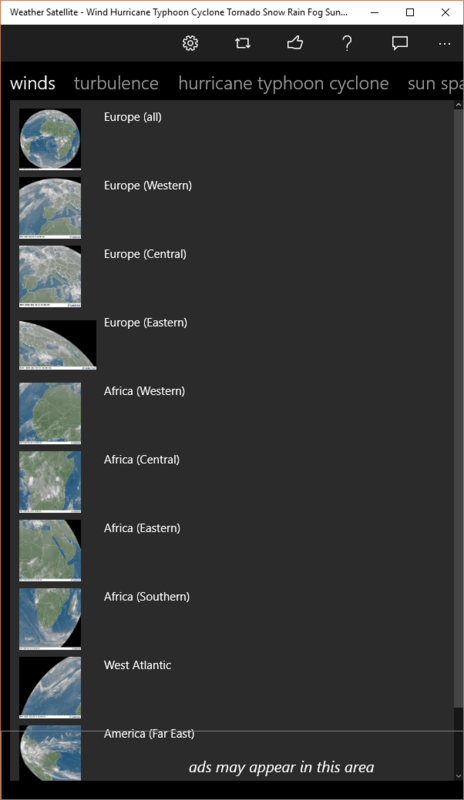 Shows images for winds in Africe, Europe, Atlantic, Antartica, etc. 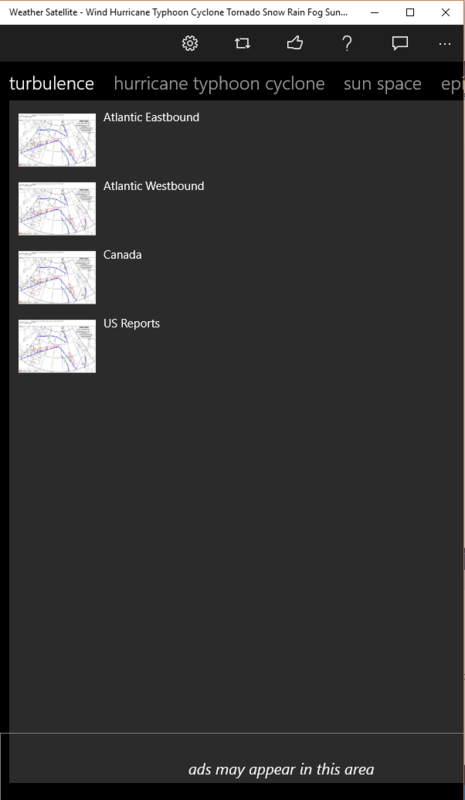 Shows turbulent areas for atlantic eastbound and westbound air trafic, Canada, and spot US reports from pilots. 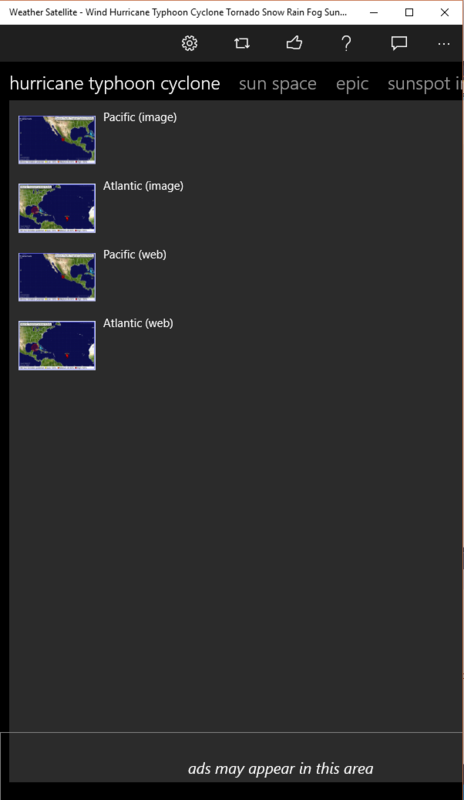 Shows images for hurricanes and typhoons for the Pacific and Atlantic. 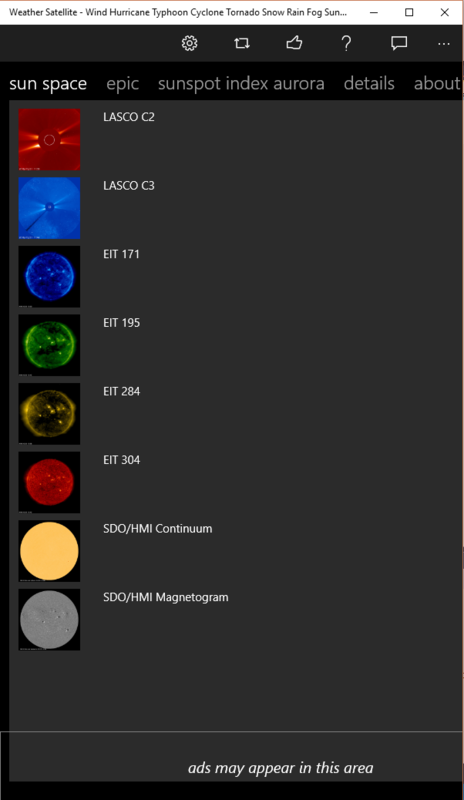 Shows images for the sun: lasco, c2, c3, eit 171, 195, 284, 304, SDH/HMI continuum, and magnetogram. 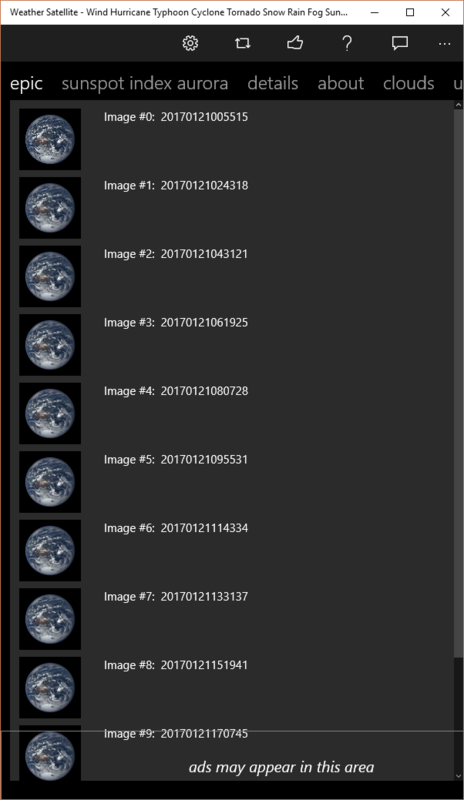 Shows latest images from the Earth Polychromatic Imaging Camera (EPIC DSCOVR) satellite. 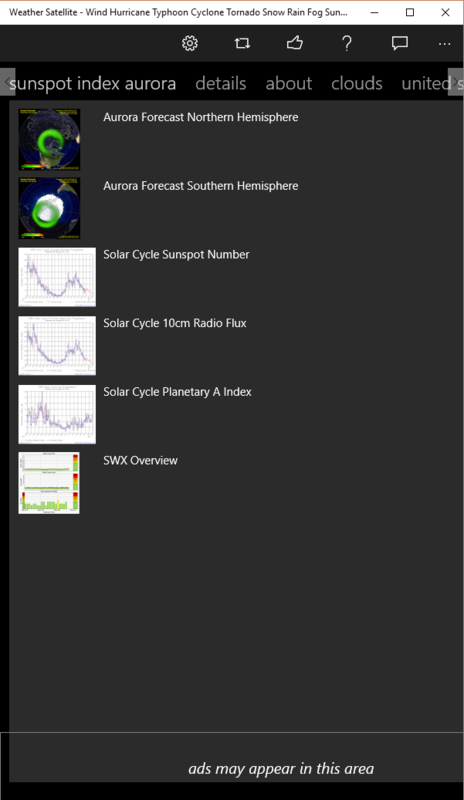 Shows latest forcast for northern and southern hempisheres with solar cycle sunspot number, 10cm radio flux, planetary A index, and space weather SWX overview. View from Himwari 8 satellite. 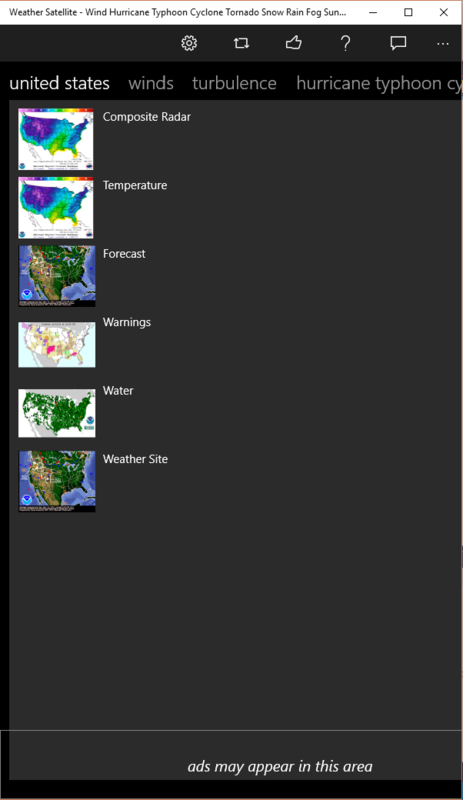 Check out the weather guide for the app.